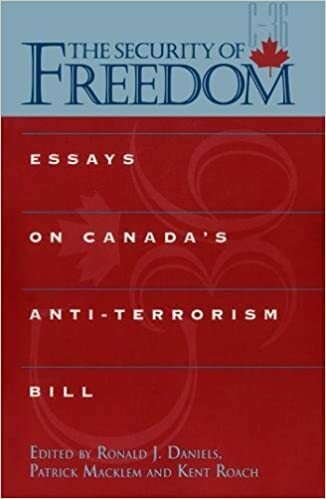 The Security of Freedom: Essays on Canada's Anti-Terrorism Bill [Ronald Daniels, Patrick Macklem, Kent Roach] on Amazon.com. *FREE* shipping on qualifying offers. The Government of Canada's proposed anti-terrorism legislation, Bill C-36, contemplates dramatic changes to our law.